One of the unexpected perks (and joys) of having my own Etsy shop is designing the packaging for the items. 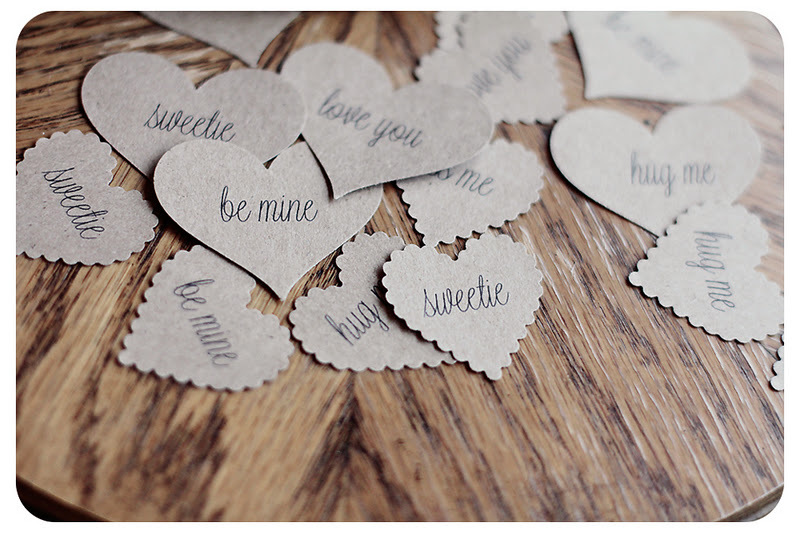 There's something about adding a hang tag to an item that makes it look professional and just so darn cute! 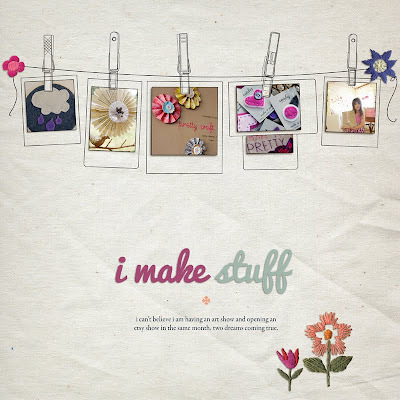 Luckily, I am a reformed scrapbooker (i.e. I am a former obsessed scrapbooker who used to scrapbook Every Day). One of my (paper) scrapbook pages. So I have the benefit of having lots of papercrafting supplies on hand. And know my way around a scrapbooking store! My business card and two free gifties I put in every order: an accordion flower with little tag and a sample felt flower on a kraft backing. (The exact flowers vary for each order. It depends on what I made recently). 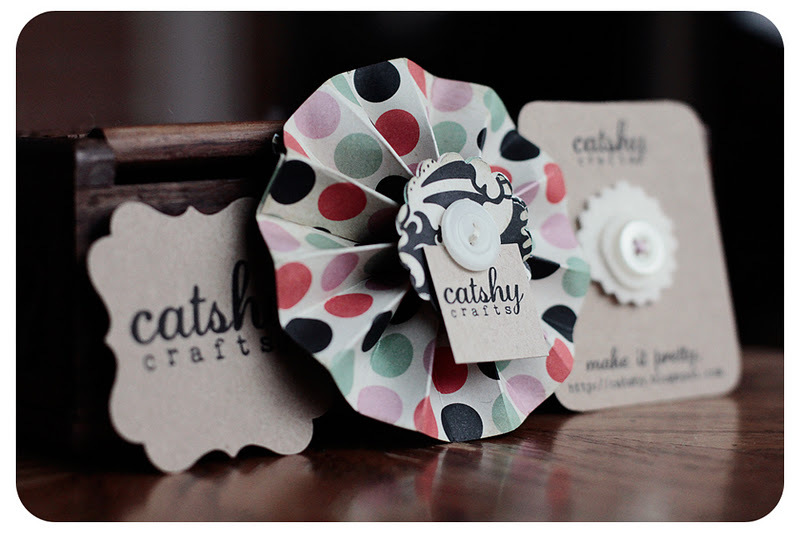 I designed and created my business cards, the little labels I put on my paper flowers and the backing/packaging for my vintage buttons and hand-made felt flowers. 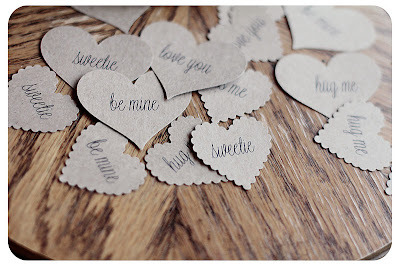 Kraft cardstock is my favorite material to use for all of these things. And a paper punch is my favorite tool. Add in the (very basic) Photoshop skills I picked up when I became an obsessed digital scrapbooker who used to digi-scrap (i.e. use Photoshop to make digital scrapbook pages) Every Day......and I am golden. 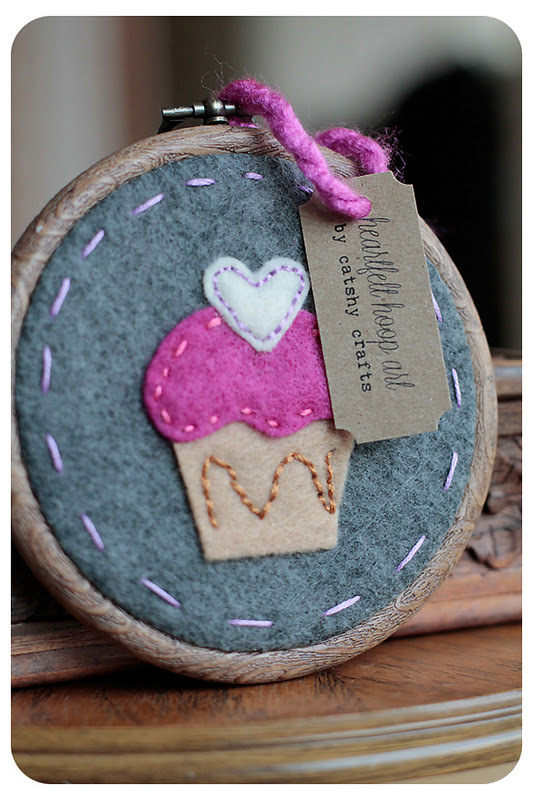 One of the latest bit of packaging or branding that I created was the little ticket-shaped hang tag for my heartfelt hoop art. Yes, my embroidery hoops now have an official name. I got the idea for "heartfelt" from this blog post about Catshy Crafts on the Paperstitch Blog. The name just clicked with me and totally described my work. I especially love the double meaning as many of items feature hearts and most are made of felt! I am also toying with the idea of adding a small label on the back of here hoop as well. My new ticket-shaped tag will be on all the embroidery hoop art I make from now on. 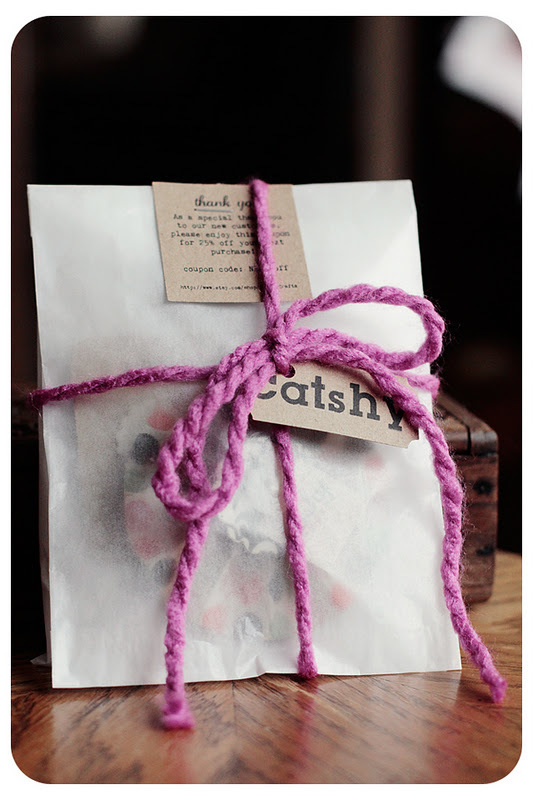 One of my free gifties all packaged up with a 25% coupon stapled to the top, a chunky fuchsia yarn and larger catshy tag. Every order gets a variation of this with their purchased item. I am hoping to put more paper goods in the shop very soon. Right now I have two all-paper items: my conversation hearts and my accordion flower garland. I keep meaning to put the accordion flowers up, but I keep giving them away in my free giftie! Thanks Corrine! I'm a Tina Azmus fan too - I bet her packaging is gorgeous!